The Master of Business Administration is the most coveted degree in the business world giving prospective MBA candidates the opportunity to enhance and refine their business skills in a variety of social, cultural and market contexts. Achieve your career goals in business with a Master in Business Administration today - Browse the list below of MBA programs and contact admissions officers directly by using the 'request information' function. The MBA grew from just 4 students at Tuck School of Business in 1900 to thousands of business schools across the globe providing an internationally recognized degree both in developed and developing countries. Becoming an MBA participant will help you to change your career by learning General Management and / or specializing in a certain business area. The programs are also suitable for those who are willing to gain a leadership role within an organization. MBA programs prepare young professionals with just a few years of working experience to develop and lead companies. This is achieved through a combination of a theory, skill training and practical experience leading to learning latest management techniques and dealing with complex issues. Undergraduate business students take an MBA degree to improve their existing business skills and seek to become professionals in a chosen business area. This is becoming a common trend nowadays due to the current economic situations which pushed more companies to hire well-trained professionals in a certain field. 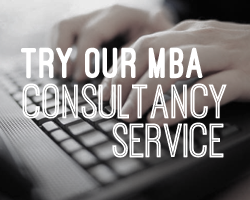 To become an MBA student candidates need to hold an undergraduate degree; although, it does not have to be in business. In fact, many MBA programs are developed for practitioners working in such industry sectors as healthcare, science, energy, etc., who need to gain a significant knowledge in business in order to get a promotion or change a career by entering a new industry or moving to consultancy. An 18-month MBA program focuses on various business disciplines like accounting, marketing and corporate governance during the first year followed by completing business strategy component (capstone) with main focus on strategic management and business leadership. Undoubtedly, the main reason for taking an MBA program is to get a management position and an increased salary in an organization. Despite high costs that such programs require many MBA graduates are confident that they have yielded a return on investment within a first couple of years. Another important factor to pursue an MBA degree is the acceptance of it by employers which significantly decreases the odds of becoming unemployed. These statements will only be strengthened if an MBA program is completed in a top business school providing the most comprehensive education. Apart from financial incentives that an MBA gives, there is a great variety of non-monetary benefits. Upon completing a program a candidate gains vital skills such as becoming more competent in ethical questions, looking at problems from a global perspective and solving problems in an effective and creative way. Besides, the candidate improves his workforce by becoming more efficient as MBA programs often require a possibility to combine working and studying. Finally, program’s participants have a great opportunity to boost their business network by meeting well-educated and motivated people that attend a business school to seek an MBA degree. If you want to expand your career opportunities, plan to become a leader, ready to handle challenging situations and eager to develop your business skills then an MBA program is the right choice for you.